This past weekend, Microsoft splashed TV advertising for it's new Windows 8 operating system during college football games in the U.S. and on TVs in 42 other countries. Despite the initial thrust, an AP survey of 1,200 adults in the U.S. showed over half hadn't heard of the new OS, and those that had some knowledge of it showed little interest in buying a new laptop or desktop computer running on Windows 8. 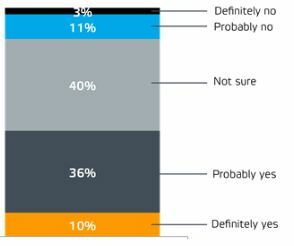 We did our own survey of over 350,000 computer users across seven languages (English, French, German, Portuguese, Italian, Polish, and Czech) before the launch and found that most expect the new Microsoft Windows 8 operating system to be safer, but only 8% of respondents said they will buy a new computer any sooner because of it. 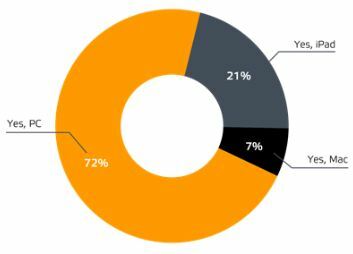 Two thirds of survey respondents were running Windows 7, yet despite highly publicized security vulnerabilities in older operating systems (OS) such as Windows XP and Windows Vista, a full 30% of respondents are still taking chances with the two latter OS. 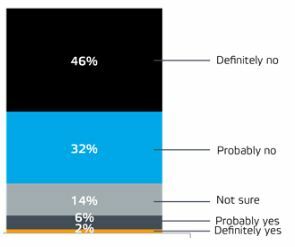 Microsoft has done a very good job in publicizing the new Windows 8 OS, as the majority respondents were aware of its pending arrival. Nearly two out of three Windows users believes that Microsoft has gotten better at improving the security of its OS offerings over the years. 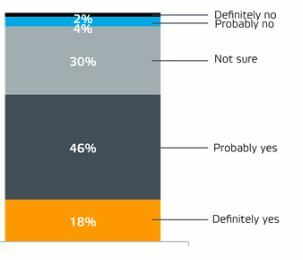 While almost half believe that the new Windows 8 would be even more secure, 14% were skeptical. 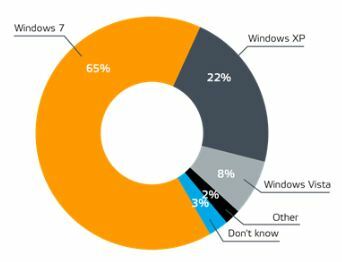 Despite such high belief in its higher security value over Windows 7 and older OS, at least 78% answered that they do not intend to purchase a new computer sooner just to have Windows 8. 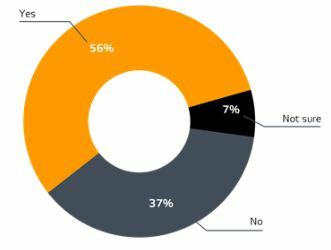 More than a quarter of respondents in fact do not plan to buy a Windows-based PC at all, instead intending to go with an iPad or Mac. Q1: Which Operating System does your computer have? Q2: Are you aware that the new Windows 8 will soon be released? Q3: Do you think that Windows has actually gotten safer over the years? Q4: Do you think Windows 8 will be safer than previous Windows OS? Q5: Do you plan to get a new computer sooner to have the new Windows 8? Q6: Do you plan to get a new computer soon? If yes, what will it be?